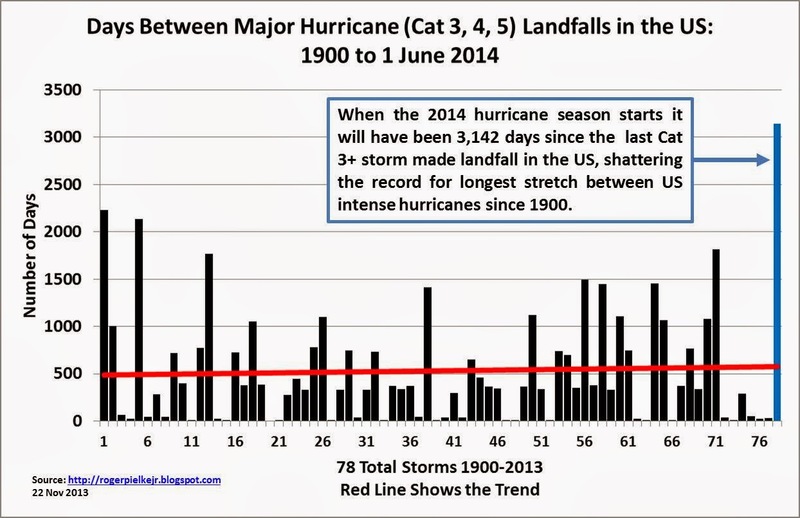 2013, the year with the fewest tornadoes on record and no major hurricanes making landfall. – Len Bilén's blog, a blog about faith, politics and the environment. 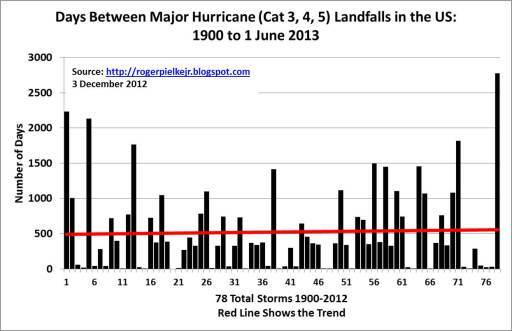 2013, the year with the fewest tornadoes on record and no major hurricanes making landfall. In their desire to sensationalize natural disasters the typhoon Haiyan/Yolanda is billed by the media as the most powerful typhoon ever. 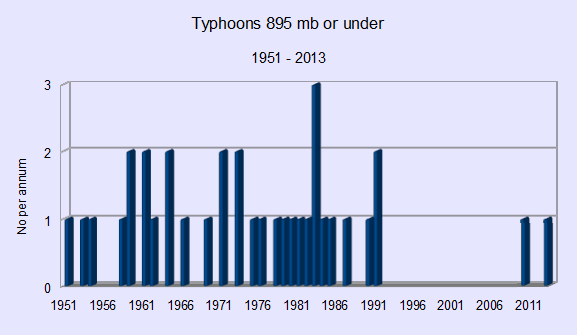 Yet it was only a category 4 typhoon at landfall. The higher speeds were estimated from satellite images. Now, its eye and size was enormous, so the damage from the storm-surge was much larger than the wind damage. Likewise, Super-storm Sandy wasn’t even a hurricane at landfall, but the storm-surge was the third largest recorded on the east coast, the other two occurring during the little ice age. Likewise, the recent tornado outbreak in the Midwest with 82 tornadoes in one day in November is the fourth largest outbreak on record, but the total number of tornadoes for the year is the fewest ever recorded. Both are used to advocate the case for global warming, but I maintain that the case for global cooling makes for the stronger case. The number of strong typhoons in the Pacific is decreasing, (maybe only temporary, the future is hard to predict) see Figure. The number of strong hurricanes in the North Atlantic is at 0 for a record time span. The number of tornadoes is at a record low for 2013 (even with the 82 tornadoes of Nov 17 included). 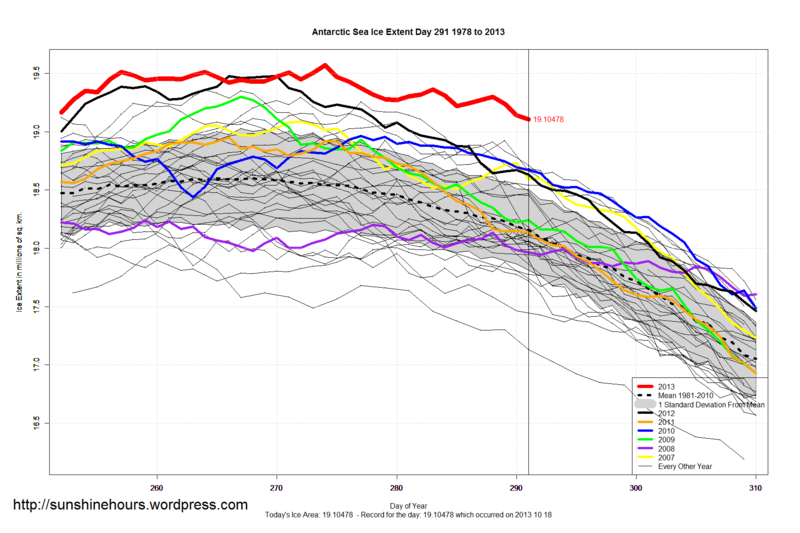 The solution to the global cooling? There is no solution. 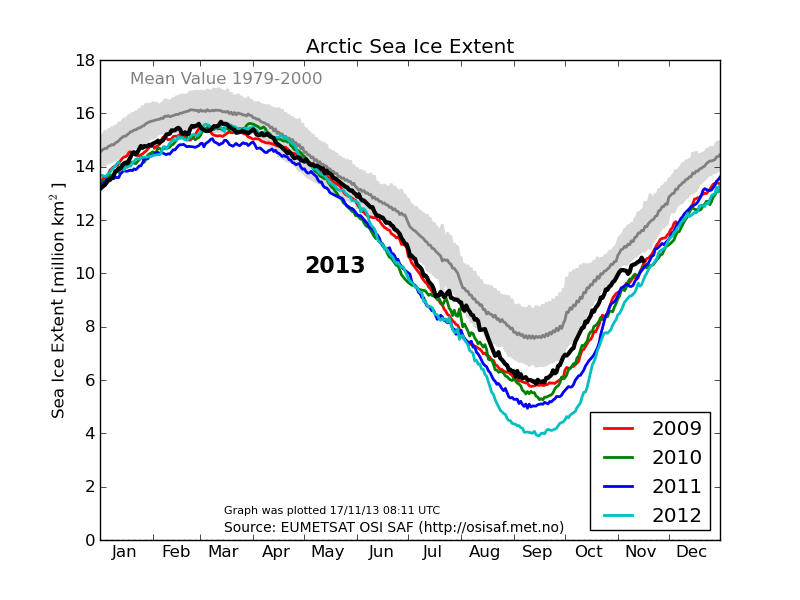 We are at the mercy of the sun, which is entering a 40 or more year cycle of less activity. We can lessen the impact of the cooling by encouraging CO2 emissions. The increase in CO2 has a very positive effect on the environment, making plants grow better, using less water in the process, and water is often the limiting factor in plant growth. This is already showing up in satellite data proving the planet is getting greener. This is good for both Flora and Fauna. In addition the Spring and Fall storms will be less severe. Oh, and a planet with more vegetation is less prone to erosion. And it staves off starvation for both man and beast. Good news all around. On the other hand, issues like using prime farmland to produce ethanol from corn, cutting down the rain forests of Borneo to produce bio-fuel, real air pollution, water pollution, mining concerns and recycling still remain, so there is much to do to ensure we leave this earth a better place than we entered it. Previous Previous post: A limerick on Obama, slavery, Sarah Palin and beholden to foreign masters. Next Next post: Obama like Chamberlain in seeking peace with Iran. “Peace for our time.” A Limerick.